Froyle Park is a beautiful country estate in Upper Froyle, Nr. Alton, Hampshire. The gorgeous manor house is set in 80 acres of glorious parkland, and is a picturesque venue for your wedding. Here are a couple of photographs from last weekends wedding. Last weekends bride and groom were trying to dodge the rain and make a decision whether to have their wedding inside or outside. 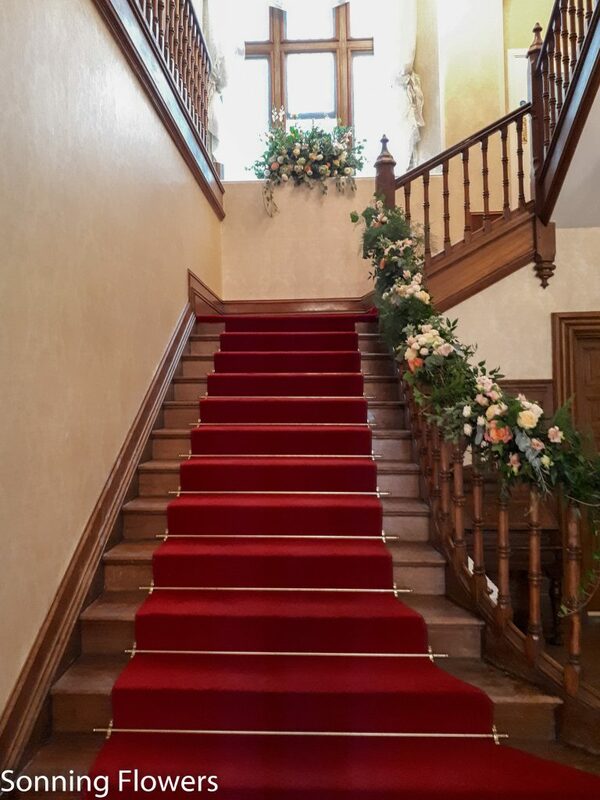 At Froyle Park you have the choice of a ceremony in the Great Hall with this magnificent staircase, or outside under the gazebo with views over stunning parkland. 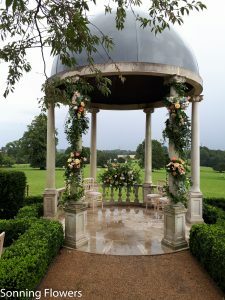 Flower choices included pale pink calla lilies, coral coloured Miss Piggy roses, Peach Avalanche roses, and very pale peach Vendella roses, bombastic spray roses, with peach lisianthus and a selection of mixed foliages. More photos will follow soon. For more inspiration have a look at our gallery pages here. Or go to the Froyle Park Website here.